You may have noticed we are a bit vague about when “early spring” arrives in Trinity. We often get a “false spring” in January or February, but we try to resist this Mother Nature’s temptation. We typically start getting our early spring plants — ones that can withstand some cold — the first week of March, and we often see frost in May, so “early spring” usually runs from March into May. Let’s face it: by March, we can’t wait any longer for winter to be behind us and are thrilled to be in the garden planting pansies and cool-season veggies! 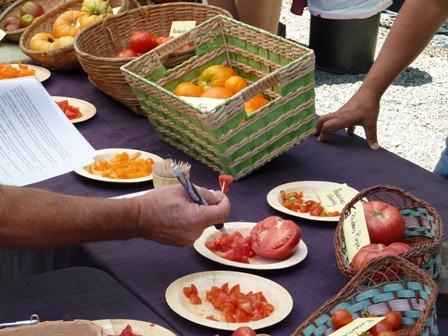 Check out these seasonal articles followed by our early spring gardening calendar. Peach Leaf Curl … your final application of Liqui-Cop Fungicide is usually in March just before bud break. Remember: Peaches & Nectarines are your only fruit trees that get peach leaf curl. 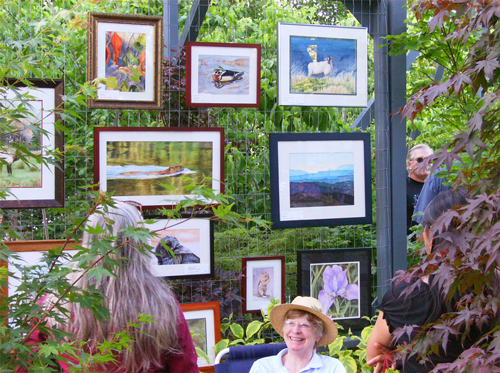 Plant Cold-Hardy Perennials … get a jump on the growing season and you’ll be rewarded with bigger, healthier and “bloomier” plants this summer. 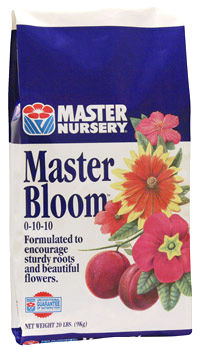 Feed Early Spring Bloomers … such as Dogwoods, Rhododendrons, Forsythia and more with Master Bloom (0-10-10) for better flowers this year. Azomite … adds needed micro-nutrients to your garden soil. Prune Roses … for stronger, healthier plants and more beautiful flowers this summer. Start Seedlings Indoors … we have the soil mixes, plugs, trays and all the other supplies you need. 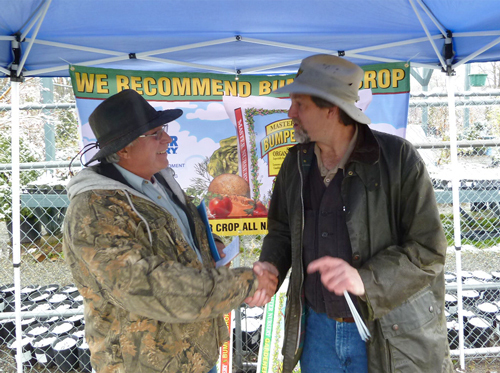 Plus we carry a great selection of organic, open-pollinated and hybrid veggie, herb and flower seeds. Check out our Starting Your Own Seeds Indoors article for some helpful tips. Condition Garden Soil … with Bumper Crop, Gardener’s Choice or Black Forest Compost — whether you have clay soil, sandy soil or something in between, we can help you pick the right amendment for your soil type. Cut Back Perennials … be mindful of any tender new plant growth near the crown. Plant Bareroot Strawberries … ever-bearing variety with delicious fruit. Feed Evergreens … with a balanced, all-purpose fertilizer for healthier trees and shrubs. 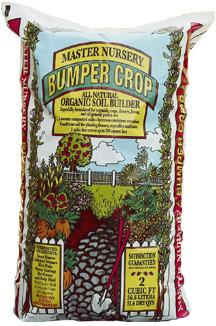 We recommend Master Nursery’s Formula-49 – which includes fast and slow release nitrogen and many trace nutrients our plants need — or one of our blended organic fertilizers that come in a variety of sizes. Plant Cool-Season Veggies … lettuces, broccoli, cauliflower, cabbages, Swiss chard and more tolerate frost and actually like the cooler weather of early spring. 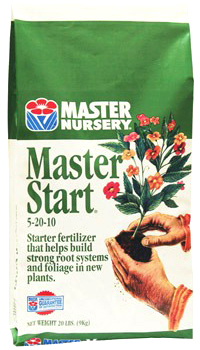 Plant Trees & Shrubs … before the summer heat arrives – don’t forget the Master Start or organic starter fertilizers in your planting holes. Prepare to Water … newly planted trees, shrubs and lawns – and all your potted plants – need watering sooner than your established plants in the ground. Plant Cool-Season Flowers … pansies, primroses, snapdragons, stock and more can add color to your early spring garden. 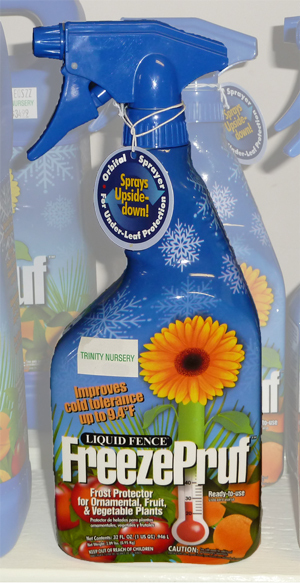 Protect Frost-Sensitive Plants … water walls, plant protectors, frost cloth or FreezePruf spray can protect your frost-sensitive plants from a range of cold temperatures. Check out our Protecting Frost-Sensitive Plants article for more info. Plant New Lawns … use our lawn seed specially formulated for Trinity County: Trinity Hardy Mix for sunnier areas and Sun & Shadow Mix for shadier areas. Our Lawn Planting Guide can help you on your way. Plant Onion Sets … call us to find out what’s in stock. 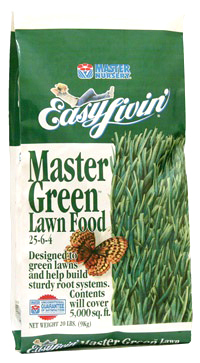 Wake Up Your Lawn … with a well-balance Lawn Fertilizer to produce a rich green lawn with a sturdy root system. We carry both organic and traditional blends in a size perfect for your lawn. 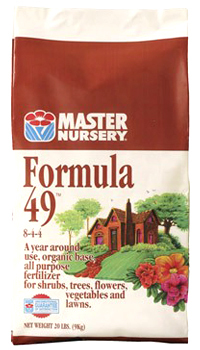 Feed Perennials … they love organically-based Master Nursery’s Formula-49, too — or try one of our organic general-purpose blends. Plant Seed Potatoes … call to find out what great varieties we have in stock.